I'm not big into sweets, but there is one candy that holds my heart. I actually grew up with Bounty back in Ukriane, but when I moved to US, I found out that it wasn't sold there except in stores like World Market. It is everywhere in the UK, so when I crave some junk food, I can just walk into the first convenience store and pick up Bounty. 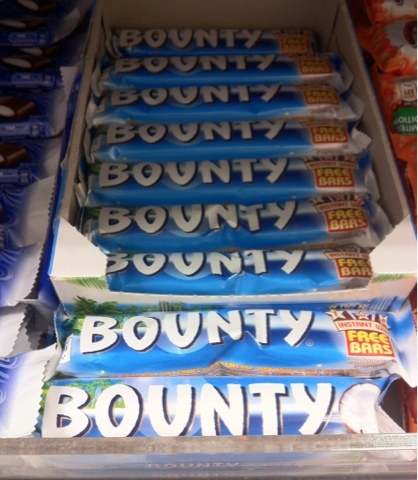 I will miss Bounty being sold everywhere and being readily available when I'm back in the US.